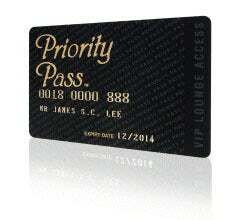 Priority Pass is the world's largest independent airport lounge access program. Membership offers great value for money and allows you to use any of 600 airport lounges whenever you travel. Airports are stressful places. The best way to reduce that stress is to slip into an executive lounge while you wait for your flight. The benefits of Priority Pass membership allow you to do that whenever you travel, regardless of which class or which airline you fly. With an extensive range of business lounges in over 100 countries and more than 300 cities, Priority Pass is the world's largest independent airport lounge program. Use the Find your Lounge box on this page to find Priority Pass lounges in the airports you use. Annual membership offers excellent value, as recommended by travel insiders throughout the world. We offer three membership plans to ensure that you can match your membership exactly to your needs so don't delay, join Priority Pass TODAY!